On the website of the Ministry of Foreign Affairs, clicking on Takeshima, we can see “Kaisei nihon yochi rotei zenzu” (Revised map of the whole of Japan) created by Sekusui NAGAKUBO (1717 ~ 1801). 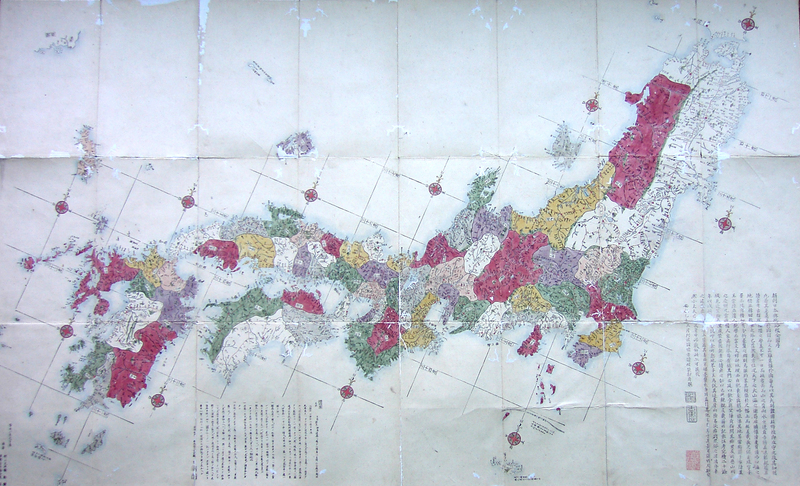 The Japanese government insists on the territorial issue with South Korea by using it as the oldest Japanese map on which Takeshima is described as Japanese territory in the middle term of the Edo period, and has already been published to the world. However, a person recently told me that “It is strange that the map is not designated as a national important cultural asset yet”. “I see, that may be true,” at that time, I thought so. Currently, at the Memorial Society of Nagakubo Sekisui, we are working together with contributors in Takahagi city and Ibaraki pref. 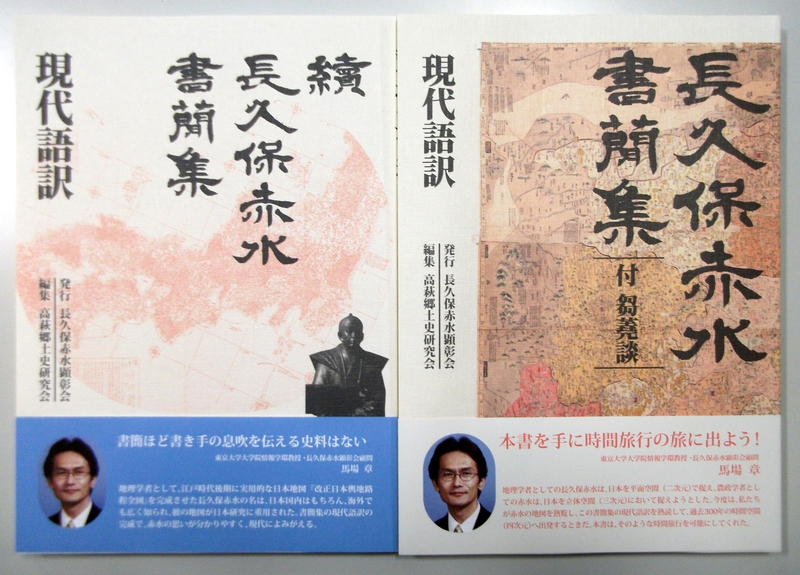 to make various Sekusui-related materials, such as 916 maps, books, letters and other documents, prefecture designated cultural assets by 2017: the 300th anniversary of his birth. 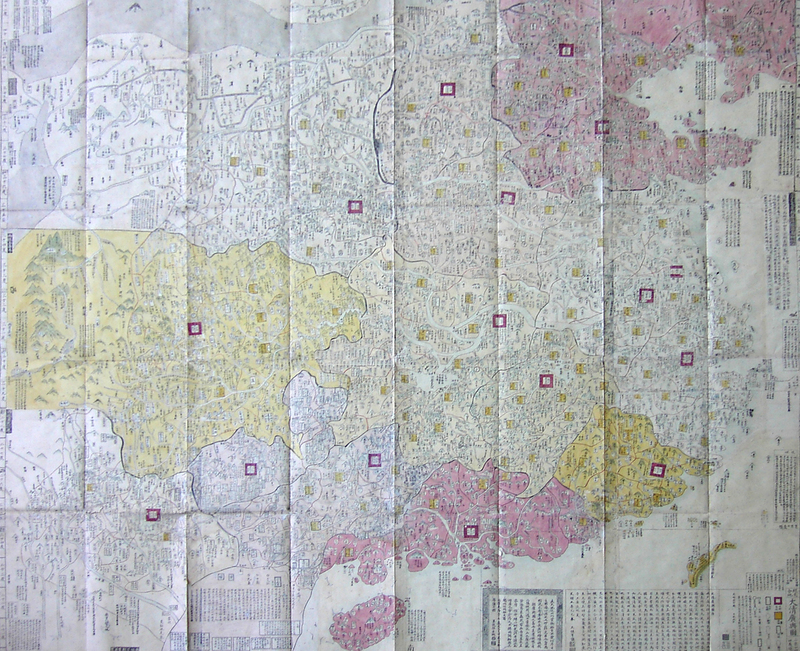 Our memorial society strongly believes that the remaining materials, particularly manuscripts of the map with Sekisui’s handwritten modifications, are appropriate for the national important cultural assets. However, as the fist step, we are trying to make them Ibaraki prefecture designated cultural assets by his birthday November 6 in the next year. In addition, we would like to clarify the human nature and achievements of Sekisui Nagakubo more step by step. Our memorial society has published “Modern Translation of Collected Letters of Sekisui Nagakubo 2” and “Modern Translation of Collected Letters of Sekisui Nagakubo with “sûjôdan””. This year, we published a new manga “The Lifetime of Sekusui Nagakubo with the modern translation of “Shigakukei”(an introduction of learning)”. We would like to express our deepest appreciation for Mr. Yasutaka Hara who produced the manga. Sekisui Nagakubo was a representative “Confucian scholar, agricultural scholar, astronomer and geographer in the Edo period”, and served as a close teacher for Tokugawa Harumori: the sixth generation lord in Mito clan. A word “kôdokukan for Mito clan” is caved on his tombstone; this means, in modern terms, an itegrated role of scholar and special policy advisor. In reality, he reformed not only agricultural policy but the whole clan government under the feudal lord by using the knowledge gained from the many Chinese books about ancient saintly kings (he could understand Chinese literature.). In addition, he introduced 13-year-old Fujita Yûkoku (father of Fujita Tôko) to leading celebrities of Japan at that time as a prodigy in Mito clan and brought him up to the president of the clan school Shôkôkan with Mataichirô Takahashi. Therefore, Sekisui Nagakubo, as a Confucian scholar, indirectly played a role of teaching “Mitogaku” to the revolutionists at the end of Edo period. 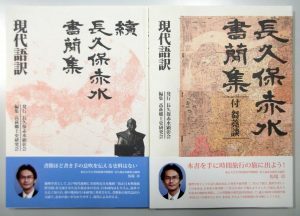 300th aniversary is a good opportunity for many people to widely recognize that Sekisui-related materials are valuable as both historical and tourism resources and comparable to the national important cultural assets. 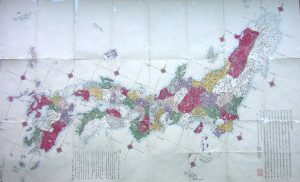 While farming in Akabama, Sekisui Nagakubo encouraged studying until the age of 61 and spent more than 20 years for the completion of Japanese map. At the age of 61, he moved to the Confucian apartment in Kamiyashiki of Mito clan (the residents placed in Edo for each feudal lords. 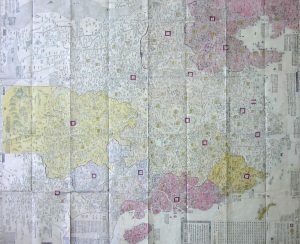 ), and then in Osaka, published a Japanese map, a Chinese map, a world map, a Chinese history map book and further compiled dainihonshi chirishi (geographic compilation for the Great History of Japan). Finally, he returned to Akabama village (Takahagi city) at the age of 81 and died at the age of 85. As of December in 2016, the number of members has increased drastically to 209. Furthermore, Mr. Masashi Hashimoto, Governor of Ibaraki prefecture, became an honorary advisor, and Ms. Masayo Odagi, Mayor of Takahagi city, was appointed as an advisor, respectively. We deeply appreciate their great cooperation. Towards 2017 ‘s 300th birthday, our memorial society is now planning various activities to accomplish 300 members. Unfortunately, we cannot celebrate his 350th or 400th birthday, but that is why we would like to do our best for what we can do in this era. We hope all of your kind cooperation and advice as a member of our memorial society. © 2019 NAGAKUBOSEKISUI KENSHOKAI All Rights Reserved.